Receive A Free Estimate Today! 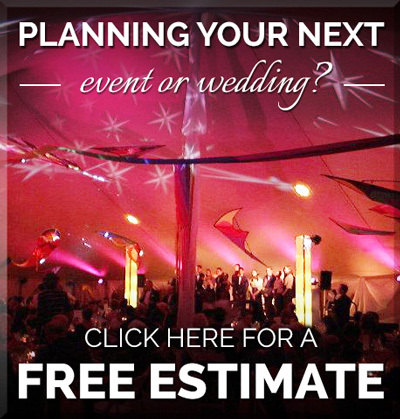 If you are looking for the right tent rental company for your next special event or wedding, look no further! Whether it's tables or chairs, we'll provide you with superior rental equipment and exceptional service. 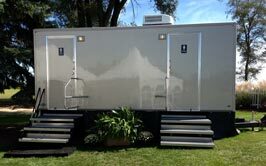 Delivery and pickup are always included when renting our modern and portable toilet equipment. We are committed to maintaining our unsurpassed reputation of leadership in the tent rental industry. Thank you for selecting American Rentals for your next party or event. We are your premier tent rental company serving Kalamazoo. 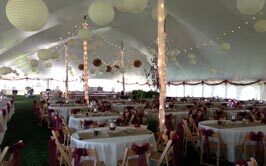 We offer one of the largest and most extensive Kalamazoo tent rental inventories. Our Kalamazoo outdoor tent rental company has all the standard styles of tents as well as unique and contemporary styles of tents. Some examples are Kalamazoo party tent rentals and event tents including Kalamazoo wedding tent rentals, canopy tents, dome tents, tension tents, frame tents, pole tents, festival tents and more Kalamazoo tent rentals for parties and events. Are you planning your Kalamazoo wedding and looking for Kalamazoo rental equipment for that special day? From outdoor tents, tables and chairs to lighting, staging and the dance floor, our Kalamazoo tent rental company has all the wedding rental supplies needed to do your outdoor wedding and reception. As the saying goes "Love is in the air" and what better place to hold such a joyous occasion than the outdoors. The freedom of open space, the fresh air, and all of nature can only add a special touch to an already special day. 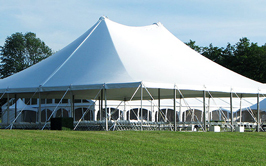 With a large inventory of modern looking tension structures and self-supporting frames, we have the specialty tents to make your Kalamazoo wedding or next Kalamazoo event a resounding success. Available in a wide array of widths and lengths, American Rentals' specialty tents offer maximum flexibility without sacrificing beauty and elegance. 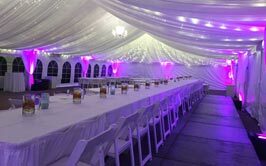 Our Kalamazoo Tent Rental Company wishes you the best of luck in planning your next Kalamazoo event, and will offer whatever assistance we can to help make it a success. Just give us a call toll-free at 1-800-637-1110 or request a free online estimate. Copyright © 2019 American Rentals, Inc.. All Rights Reserved.